Our world is slowly becoming a lonelier place. Social isolation is on the rise and more people are reporting in surveys that they have fewer meaningful relationships. And yet we know how important community is to both our physical health and mental health. But how do we create it? 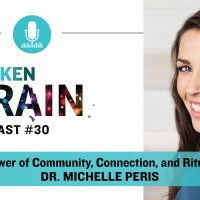 In honor of the Thanksgiving holiday, host Dhru Purohit interviews Dr. Michelle Peris about the power of community and ritual, and how we can create more connection in our world to improve our overall health. Dr. Michelle Peris is the founder of The Poppy Clinic based in Toronto and the creator of Rebel Tribe, a community-based health initiative designed to bring more connection into the lives of women. 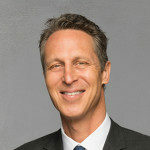 Dhru and Dr. Peris cover a bunch of topics including the impact that community, and the lack of it, has on our brain, the root factors taking place today that are driving disconnection, and how purposeful friendships can dramatically improve our health. I know you’ll love all the amazing information in this episode of The Broken Brain Podcast as much as I did. Can you beat depression with food?